After two starting days, a bumper field of no less than 5,700 entries was created in Event #34: $1,000 DOUBLE STACK No-Limit Hold'em. With more bang for your buck, this new format for the 2018 World Series of Poker has proven to be a success. The 5700 created a smashing prize pool of $5,130,000 together, with a mouth-watering slice of $644,224 awaiting the winner on Wednesday, June 20. On Day 2, 1,285 players returned with Brian Yoon starting from pole position. While Yoon ended up falling along the way, it’s Daniel Colpoys who's taken up the mantle and ended as overnight chipleader with 1,405,000 in chips. David Kaiura sits in second with 1,237,000, followed closely by Yosuke Sekiya with 1,208,000 in chips, and Steven Tymms in fourth bagging up 1,062,000. With $224,281 in total live earnings, Colpoys is cashing his fourth WSOP event of the summer and will try to catch his first gold bracelet. The four players are the only ones from the surviving 162 to return with over a million chips. All are already guaranteed at least $4,215 for their efforts but sights are set on the six-figure first place prize and much-coveted bracelet. The bubble burst level 13, at the beginning of the day, and there was a steady flow of eliminations. 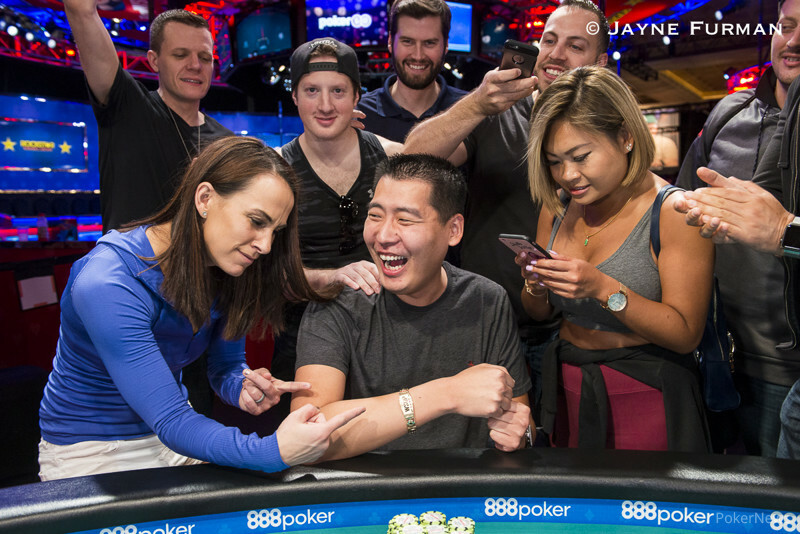 Some of the pre-dinner break casualties included many bracelets winners such as Chris Moorman, the aforementioned Yoon, Greg Raymer, Steve Sung, Jeff Madsen, Gaurav Raina, David Bach and Andre Akkari. 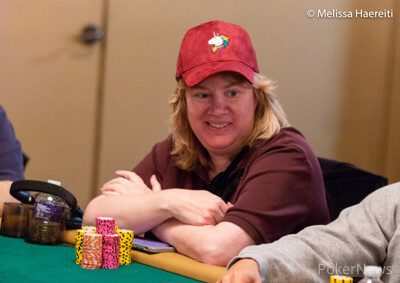 After the hour-long break, other notables players were ousted such as David Peters who was down to seven big blinds due to a bad beat, Calvin Anderson, Felipe Ramos, Mohsin Charania and Kathy Liebert, who busted 30-minutes before the end of the day. Among those who bagged for Day 3 are Isaac Baron (942,000), Mike Del Vecchio (888,000), Andrey Zaichenko(819,000), Tony Dunst (571,000), Richard Dubini (125,000), Alex Rocha (87,000), and Maria Lampropulos who was on a roller coaster all day long and end up this day with 262,000. Day 3 will resume on Tuesday, June 19, at 12 p.m. local time. The remaining players will play ten more levels with a 15-minute break after every two levels and a one-hour dinner break after level six (~5:30 p.m.). The PokerNews Live Reporting team will continue to keep you up to date with all the action from the felt as the 2018 World Series of Poker continues. The final eliminations of Day 2 saw each player rewarded with $3,654 after they just failed to make Day 3. Eyal Bensimhon moved all in for 190,000 from early position and was waiting on a decision from the table. None of the players obliged and he took down the pot. 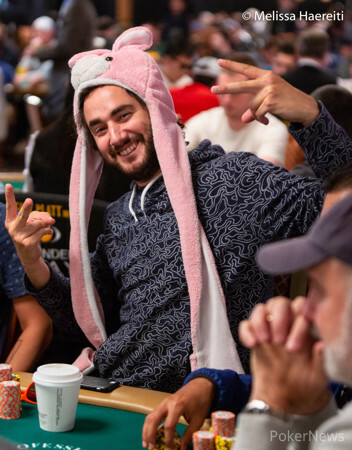 Bensimhon, who has two WSOP Circuit Rings, has been enjoying his time at the table today and sporting his favorite and popular hat during Day 2. With the clock now stopped on the final 10 minutes of the day, the draw has been made, and seven more hands will be played this evening, at which point the players will bag their chips for Day 3. Fabrizzo Dagostino was in the small blind when a player opened the action with a raise all in for around 90,000 from middle position. Dagostino made the call, and his opponent needed help from the board. The six on the flop gave the all in player some extra hope, but the board bricked, and Dagostino moved up to 700,000. 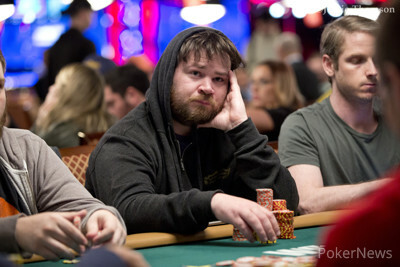 On a flop and with already around 60,000 in the pot, three players were involved in the hand. David Kaiura checked in small blind, as well as the big blind player, and Kathy Liebert bet 30,000. Kaiura three-bet to 75,000 and the big blind player let it go. Libert, after some thought, announced all-in for 134,000 total and Kaiura called. Liebert had outs to double up but didn't hit on the turn and river, and she made her way to the exit. The following players all took away $3,196 for their efforts.